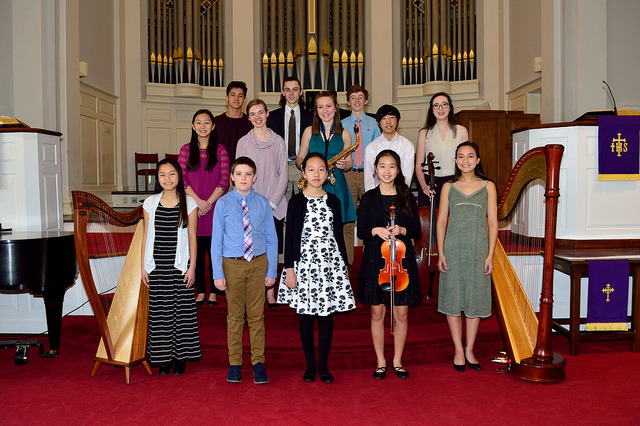 The Club holds four Young Musicians Recitals and one Adult Student Recital each year at the Colonnades in Charlottesville. All area music teachers, regardless of Club membership, are welcome to submit their students to perform in these recitals. Send applications to: Doris Vander Meulen, dvmeulen@gmail.com. For the Adult Student Recital - Please indicate via email whether the student is for instrument or voice, the name of piece and the composer. Questions may be directed to TBD. The 2018-2019 application forms are to be emailed or mailed to the appropriate recital designee as stated above. General questions may be directed to Doris Vander Meulen, dvmeulen@gmail.com.